And on whatever the best day was, the Lord made @iamsandraohinsta. Rare break from deadline hell to put on pants for the #Time100. Shout out to the lady / possibly a robot who just sends cursed images to my urgent attention every day. Me, deciding to become a writer. Me, catching you watching me, contemplating whether to menace you with my eight foot wingspan and razor sharp beak. Refusing to evolve any members of my Pokémon team. Regram from @realmiafarrow, classic social media mom. #FBF My ugly sweater birthday party with a very smart lady. Read of the day: Shilling for my friend @jaredcohen81 here but I got a look at this pre-publication and it’s an incredibly useful illumination of several swaths of history I didn’t know a lot about—the presidents who died on the job, and the men who inherited the office afterwards. No big deal. We need an incisive and independent media right now and the @peabodyawards lift up exactly that kind of work. Ah yes, the classic homeowner’s problem of *checks notes* bees paying off your mortgage. Look at my sister @quincymaureen and my niece Coretta knowing their angles. 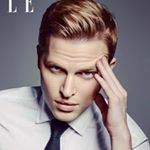 Hi, this is Ronan Farrow, I’m a writer at the New Yorker. Clémentine Goldszal of Le Monde uses this as her reporter’s notebook and I am here for it. And preparing to sell my soul as a law student a few years later. #FBF Senior year of college. So young, so drunk.